When I am creating a week’s menu, I often forget to add in a night for sandwiches. 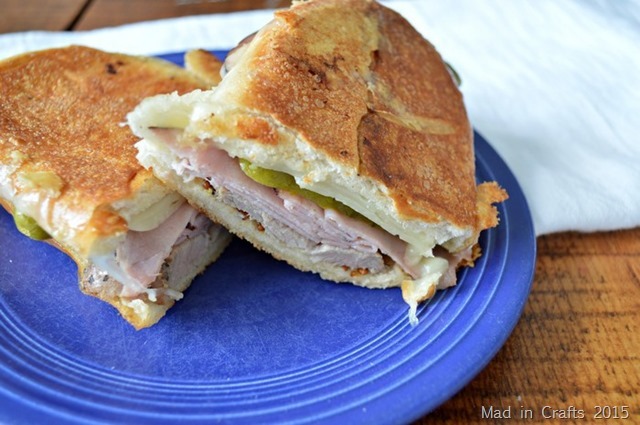 I thinks my brain think sandwiches automatically equal lunch, but you can make delicious, filling sandwiches that are perfect for a hearty dinner. 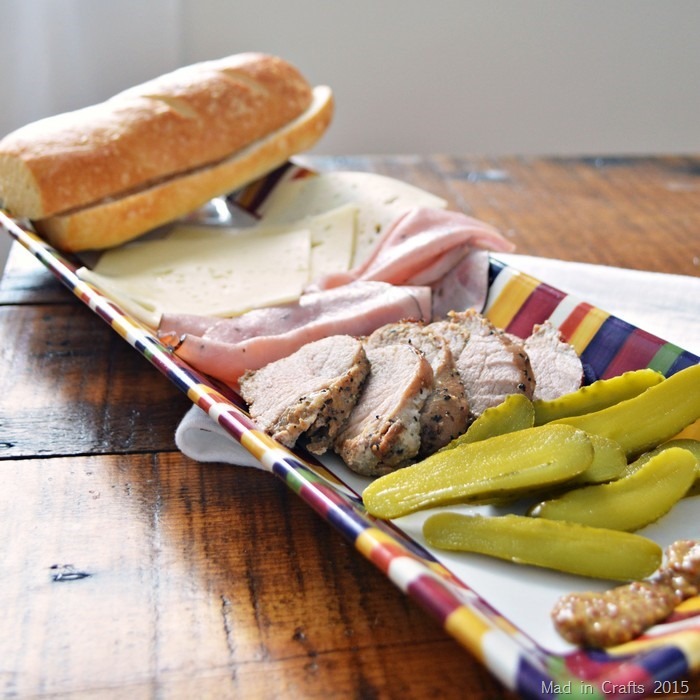 I took some help from the store by purchasing a Smithfield® pork tenderloin that was already marinated. 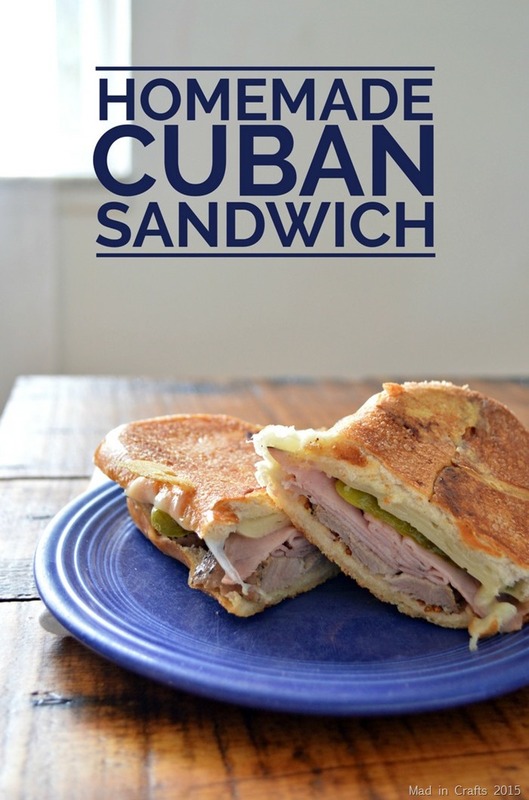 Cuban sandwiches are a delicious combination of flavors — tangy pickles and rich cheese melted over tender pork. I cook pork tenderloins frequently, since they are an affordable protein that my whole family will eat. Usually I have to throw the pork into the crockpot as I am getting the kids ready for school so that it is cooked and tender by dinner. The Smithfield® tenderloin was already marinated with peppercorn and garlic, so 30 minutes in the oven was all it took to give me a tender juicy pork loin. Grill the sandwiches till the bread is crispy and the cheese is melted. Check out that cross-section glamour shot! Cook pork tenderloin according to the package's oven directions. Cut each roll in half and top with mustard, cheese, ham, and sliced pickles. Removed cooked pork from oven and let it rest for 5 minutes. Cut pork into 1/2" slices. Add the pork to the sandwiches. Add butter to hot griddle or grill pan. Place sandwiches onto griddle and cover with tin foil. 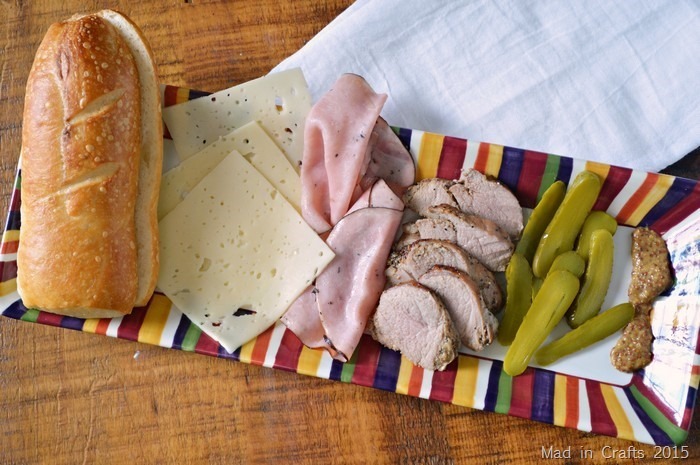 Allow sandwiches to cook for 3 minutes, then press each sandwich down onto the griddle. Flip sandwiches over, cook for 3 more minutes or until roll is crisp and cheese is melted. This is a sponsored conversation written by me on behalf of Smithfield®. The opinions and text are all mine. Wow this looks delicious and easy to make!